Seven Chakras Orgone Massage Wand | BUDK.com - Knives & Swords At The Lowest Prices! 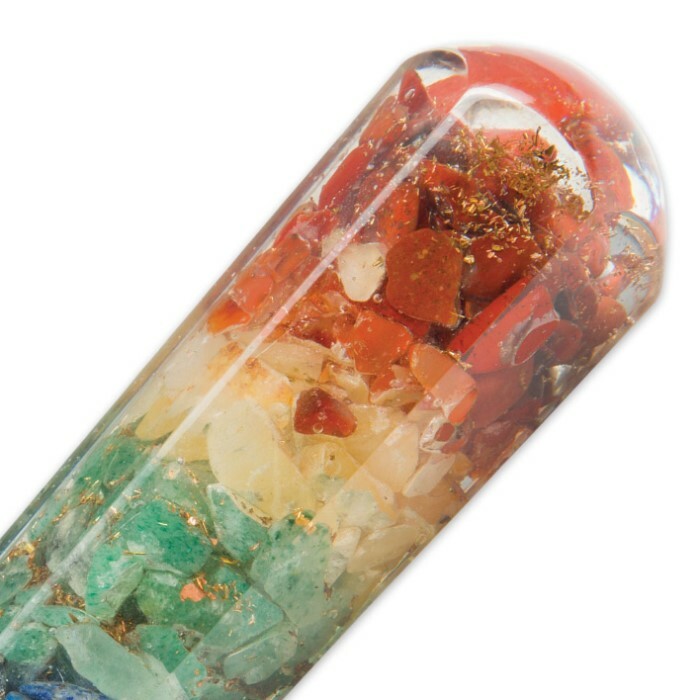 The key to balance and harmony within your body and mind is having clear and positive energy flowing freely through your seven chakras. 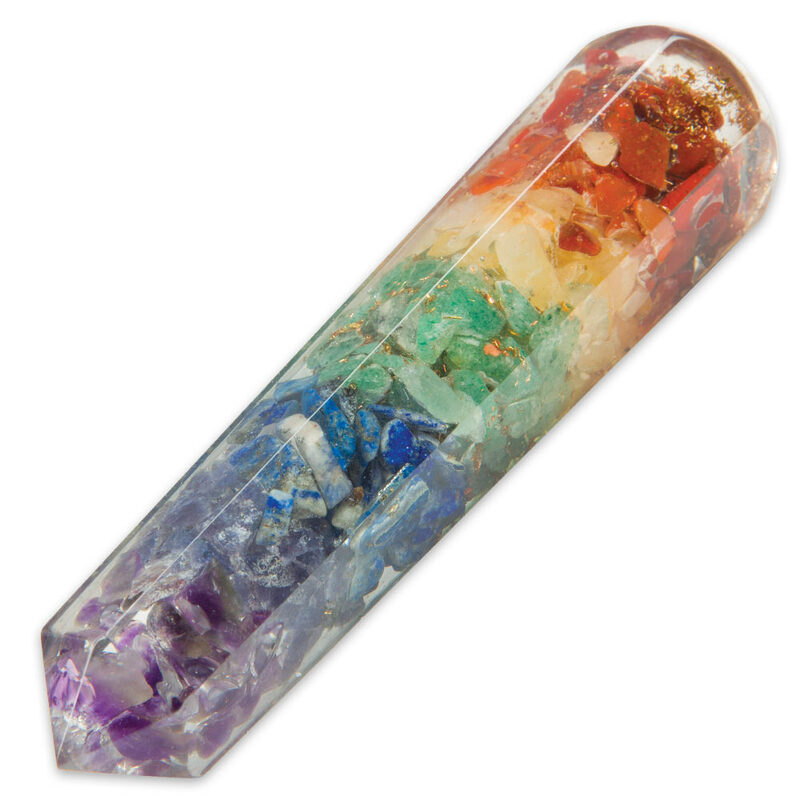 Our Seven Chakras Orgone Massage Wand can help you achieve that as orgonite helps balance and harmonize this energy. 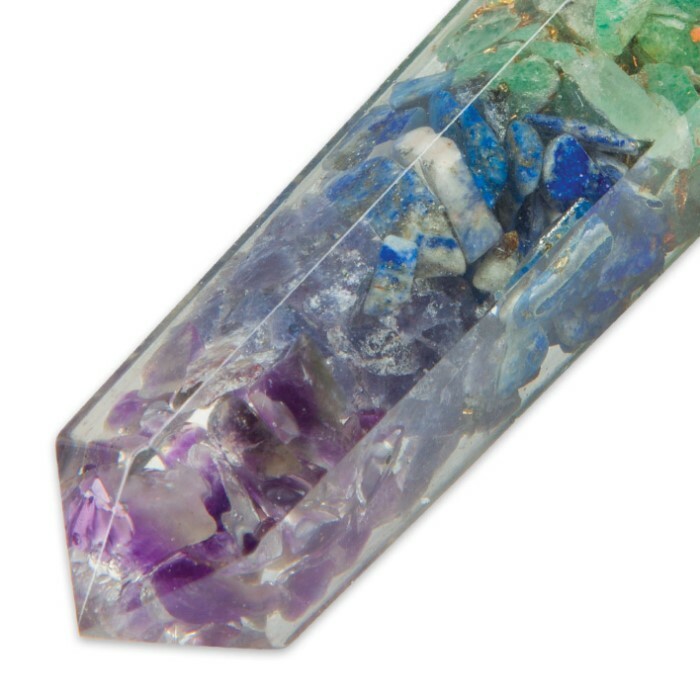 The wand is crafted of genuine orgonite crystals, representing the seven important power points, encased in a sturdy acrylic, which is specifically designed for massage therapy.